A beckoning front porch presents the first clue you’re entering a classic American-style home, nicely positioned on a corner half-acre lot in a serene Edina neighborhood. “We knew the front yard and porch would be important to the neighborhood,” says Matt Cooke of OSLO Builders. “And the dormers keep the scale of the home in check.” The oversized three-car garage with its own entry into a generous mudroom with walnut shelving is tucked away to the side of the home. A family will have plenty of room to grow in the 5,000-square-foot, five-bedroom, five-bath home. 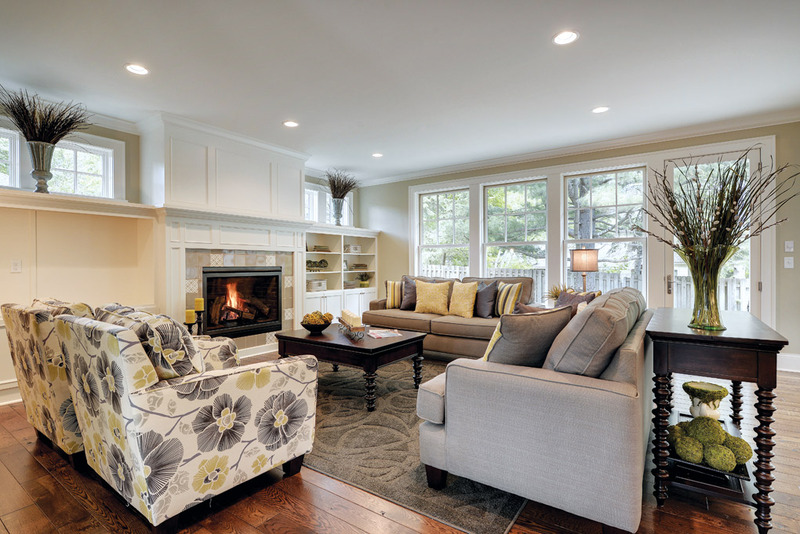 An open kitchen with generous dining space flows into a great room with a gas fireplace. It overlooks the wooded backyard with curved patio and limestone boulders. 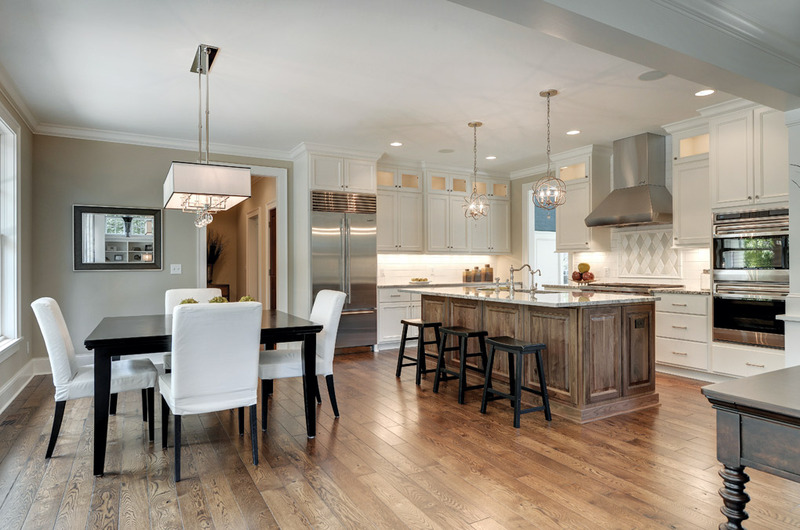 Cooks will love the kitchen with its walnut island. Adding a fresh look are the contemporary fixtures and a harlequin-patterned backsplash above the six-burner stove. The office off the kitchen provides a handy space for family organizing or working from home. 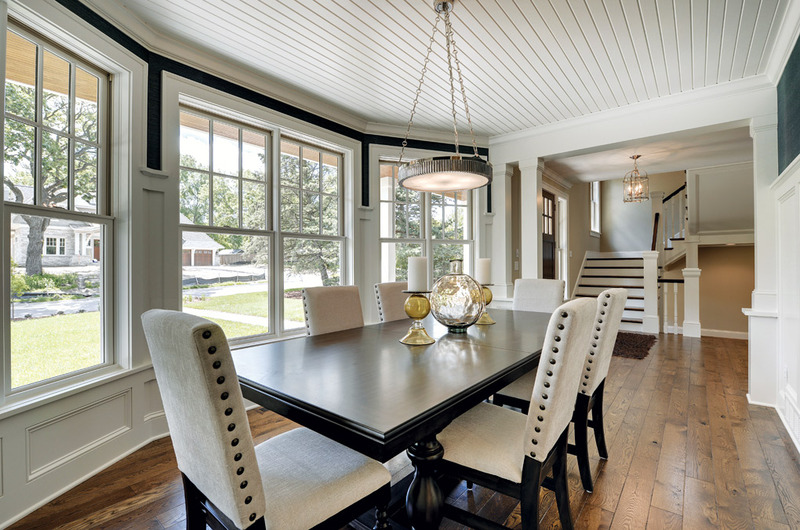 A charming dining room is an inviting option for more formal entertaining. White-oak floors, stained in walnut, are just one of the home’s many classic details. “We also included a traditional staircase with two landings per level with custom-built newel posts,” Cooke says. The dormered second level includes four carpeted bedrooms—one the owner’s suite with two closets, a shower, and a claw-foot tub. 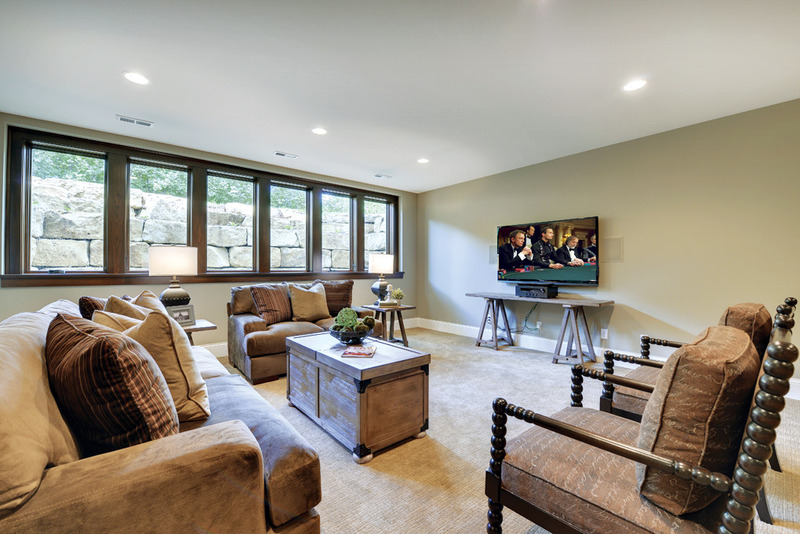 The huge finished bonus space—two adjoined rooms above the garage—renders a blank canvas to create a rec room, theater, kid’s study, or office. The lower level is a multifunctional bonanza. 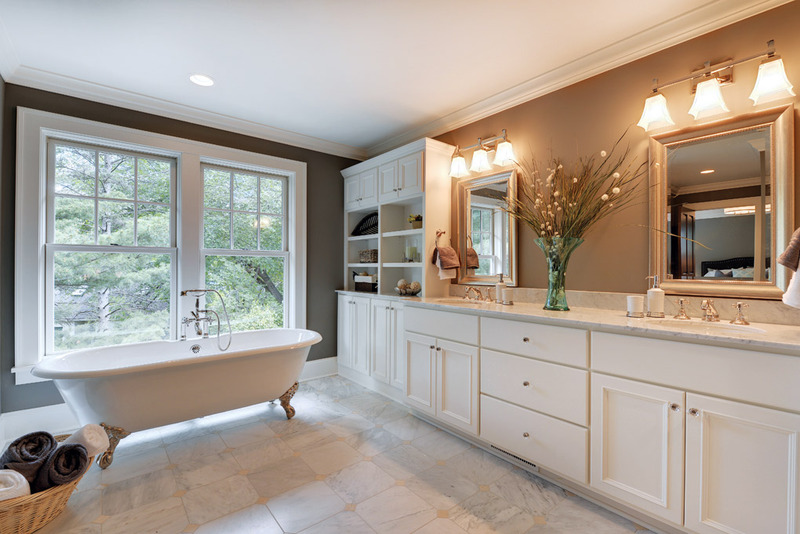 The space includes a guest room and full bath, and an entertainment area with a wet bar and fridge. Radiant heat underfoot will keep basement floors cozy, except for the unfinished room beneath the porch reserved for cool storage or conversion to a wine cellar. The home is highly energy-efficient with four separate heating zones and closed-cell foam insulation.